My kitchen is just sort of blah overall so I've been wanting to give it an update, section by section. These windows face the side of my neighbor's house so I needed something that would help me lose the shutters but keep the privacy. 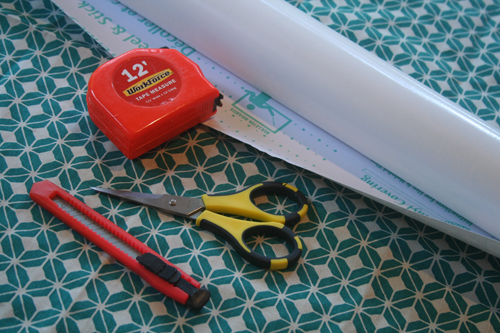 To create a similar look to what I saw in the photo, I bought white contact paper and had a tape measure, scissors and exacto knife at the ready. 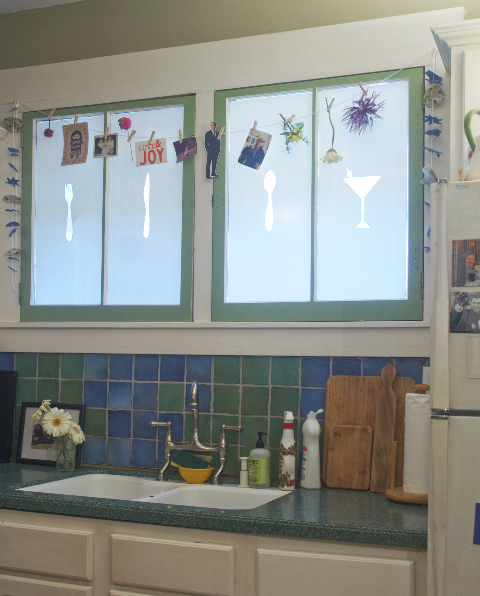 My idea was to create four images for each of my window panels: a fork, knife, spoon and a martini glass. The first step was to measure the windows, then cut the contact paper to size. Next we needed to cut out our images to trace directly onto the contact paper. Cassie and I drew the martini glass together, then found this handy template for the silverware. 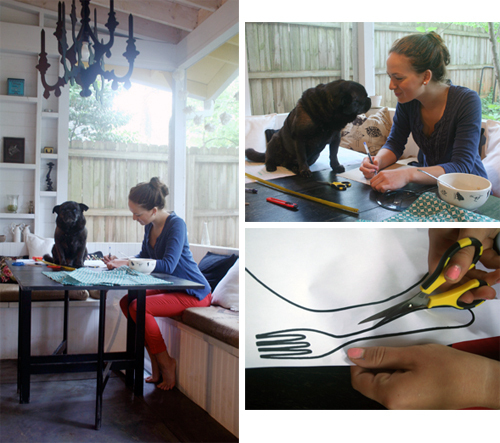 (click on place mat template) My pug, Gorilla, who never wants to be left out of anything, decided to join us.